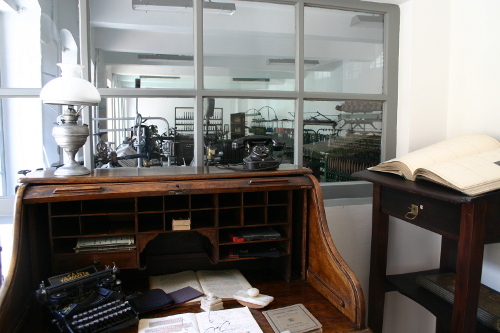 The Museum is located in the Żywiec Suburb, in the buildings of a former manufactory and from 1887 a broadcloth and woollen factory, established by a clothier from Bielsko, Karol Büttner (1833-1884), and run later by his sons, Karol Teodor (1863-1932) and Gustaw Adolf (1865-1933). The complex of buildings was gradually expanded. On the plot purchased in 1868, they first erected a two-floor building at 8 1 Maja Street with workshops and outbuildings next to the yard, while in 1888 a multistorey factory building was constructed by Sukiennicza Street. A two-floor production hall with a vast loft overlooking the square of Żwirki i Wigury, where the main part of the Museum exposition is located, was built in two stages: in 1900 its northern part was completed, while its southern part and the staircase were finished in 1906-1907. The other buildings in the place of today’s green spaces and the townhouse by the square of Żwirki i Wigury, owned by the Büttner family from 1906, were demolished while extending the Zamkowa street in 1947. In the 1930s, in the place of an old bungalow at the corner of Sukiennicza street and 1 Maja Street, they built a so-called bazaar with such facilities as Adlon café. 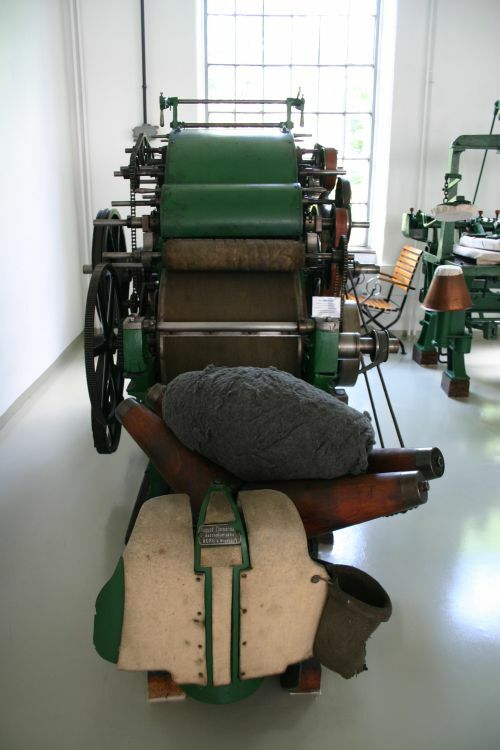 At that time the company of Karol Büttner and Sons employed 150 workers in two plants, and apart from producing broadcloth, Cheviot wool and worsted wool fabrics, they also started manual production of carpets. 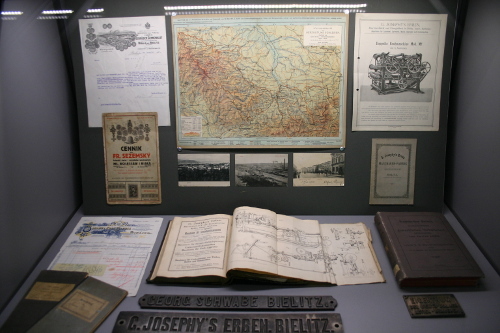 They had their representative offices in Poznań and Gdańsk and their goods were transported also to the Middle East. After the II World War the nationalized factory formed part of Leon Lasek’s Wool Industry Plants (ZPW), known later as ZPW “Bewelana” B/A production plant. When the industrial activity had been ceased, the property was divided between new owners, allocating some of the buildings to the Museum of Textile Technology which moved there in 1983. 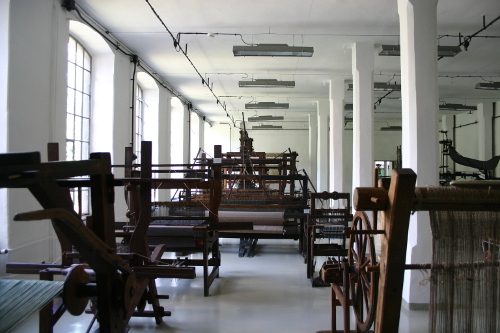 The Museum of Textile Technology was founded in 1979 as a branch of the Regional Museum of Bielsko-Biała. 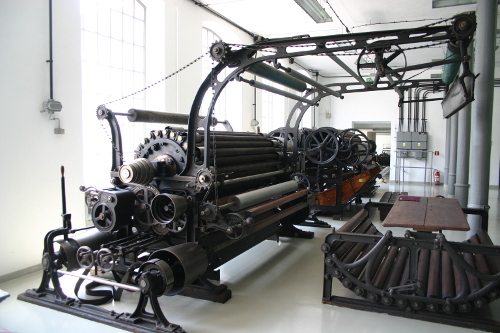 It took over the exhibits connected with the weaving craft from the main institution and later enriched its collection with machines and tools obtained mainly from local factories. In 1983 the Museum was moved to the post-industrial buildings formerly occupied by ZPW “Bewelana”, where it was undergoing reorganization for more than a decade, with its activity mostly focused on collecting, taking stock and securing the exhibits. 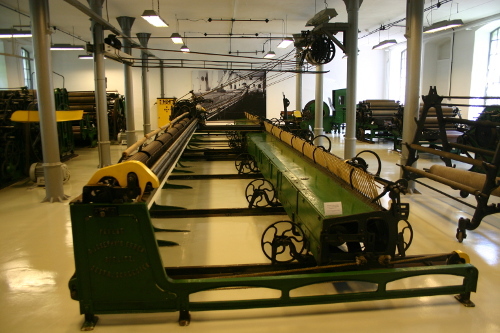 It was not until 1990 when as a result of designing an exposition project and employing a larger number of experienced clothiers, the deadlock was finally broken and after a few years of strenuous work, the Museum of Technology and Textile Industry was opened (the new name was introduced in 1995). The first part of the exposition on the ground floor was opened to the public on 2nd December 1996, followed by the opening of the exhibition on the first floor a year later. Since then the antique machines have mostly remained in the then assigned places, yet the space around the entrance was rearranged a few times to hold smaller exhibitions devoted to such themes as e.g. printing, firefighting and the history of local waterworks. 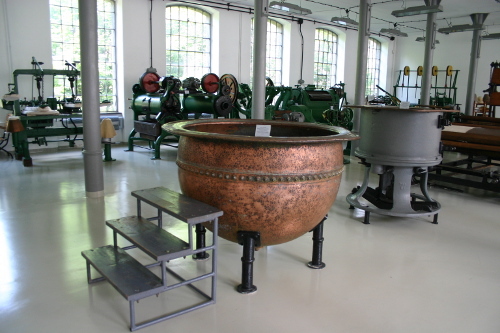 The inclusion of the Museum in the Silesian Industrial Monuments Route (2006) became an impulse to its thorough reconstruction. In 2010 the vast loft was put into use and from that moment on it has been hosting temporary exhibitions (Factory Gallery), while in 2011-2012 the other exposition rooms underwent renovation. 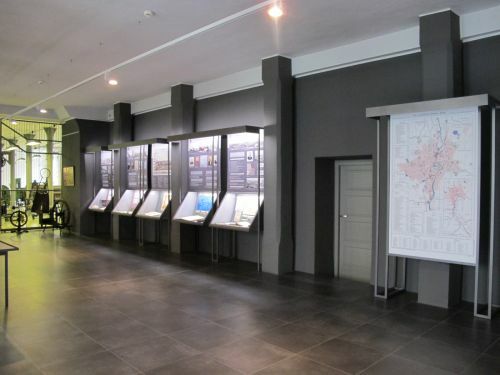 In the meantime, part of the ground floor was also refurbished to hold a permanent historical exhibition, created from scratch between 2013 and 2015 and devoted to The Industry of Bielsko-Biała in the 19th and 20th century. From weaving to the Fiat 126p. Since the end of 2013 the Museum has been named Old Factory.